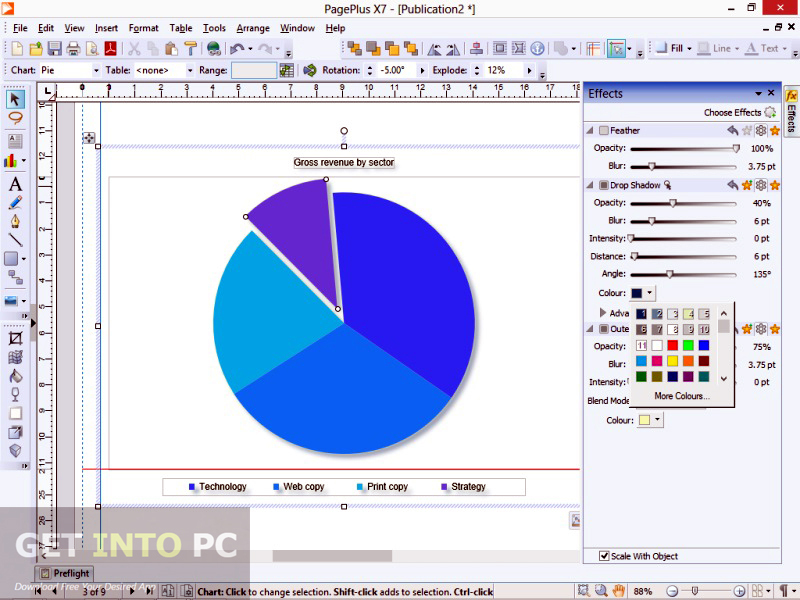 Serif PagePlus X7 ISO Free Download Latest Version for Windows. 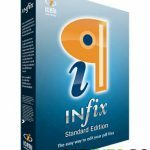 Its full offline installer standalone setup of Serif PagePlus X7 ISO for Windows 32/64 bit. 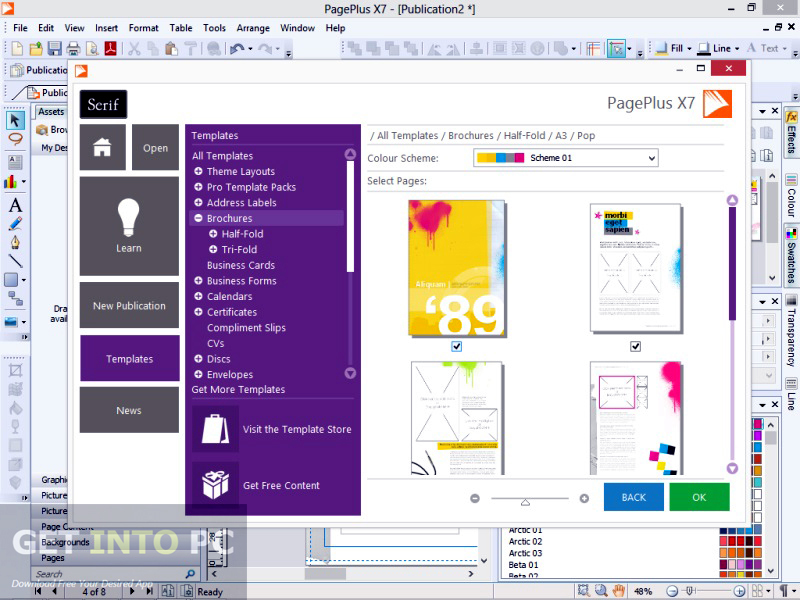 Serif PagePlus X7 is a very useful and comprehensive publishing package which has kept up the pace with other rivals. The stakeholders behind PagePlus X7 development have made sure that the application can keep up with all the new trends in the market. You can also download QuarkXpress. 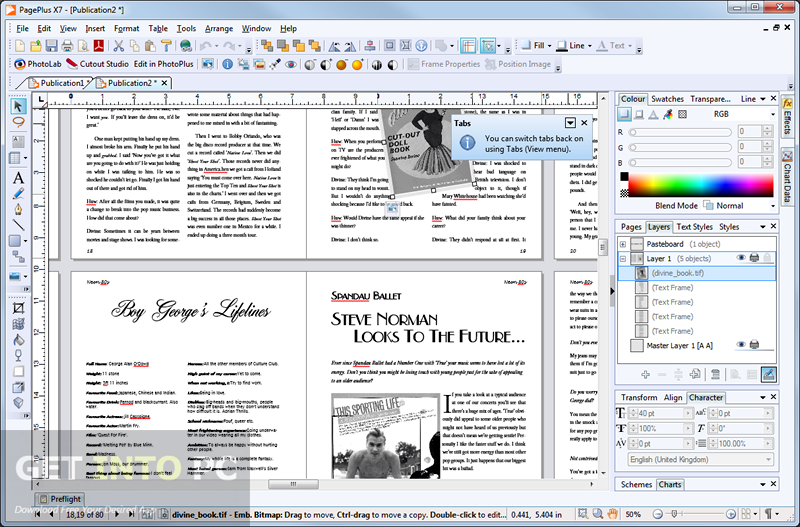 Serif PagePlus X7 is a very feature rich application which can import as well as edit PDF files. This application can also export different page elements as well as whole pages in multiple different file formats which include png, jpg and svg etc. Version X7 has got a new Startup Assistant browser which will let you start new projects by providing comprehensive tutorials. It has got a very neat and clean tile based design which is clearly inspired by Windows 8. The interface of PagePlus X7 has been overhauled and RGB slider bars have been included. An effects tab has been included plus smart hints have also been included. 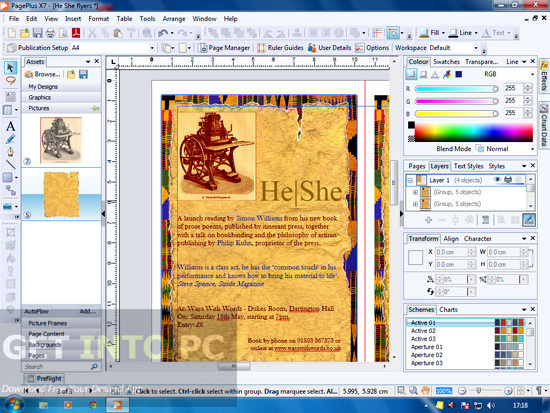 You may also like to download Adobe Indesign CS6. PagePlus X7 includes a Chart tab which will allow you to present data as pie, column and area chart, bar as well as line etc. You can apply different colors to your charts and also can add several effect like adding drop shadows and other 3D effects. You can publish ebooks with this application but unfortunately you will not find ebook templates in this version. Below are some noticeable features which you’ll experience after Serif PagePlus X7 ISO free download. 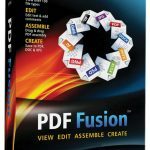 Can import and edit PDF files. 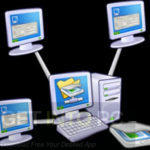 Can export different page elements in multiple file formats. Neat, clean and tile based design. Can apply different colors to your charts. 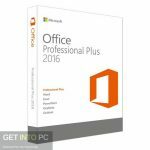 Before you start Serif PagePlus X7 ISO free download, make sure your PC meets minimum system requirements. Hard Disk Space: 800MB of free space required. Processor: Intel \pentium 4 or later. 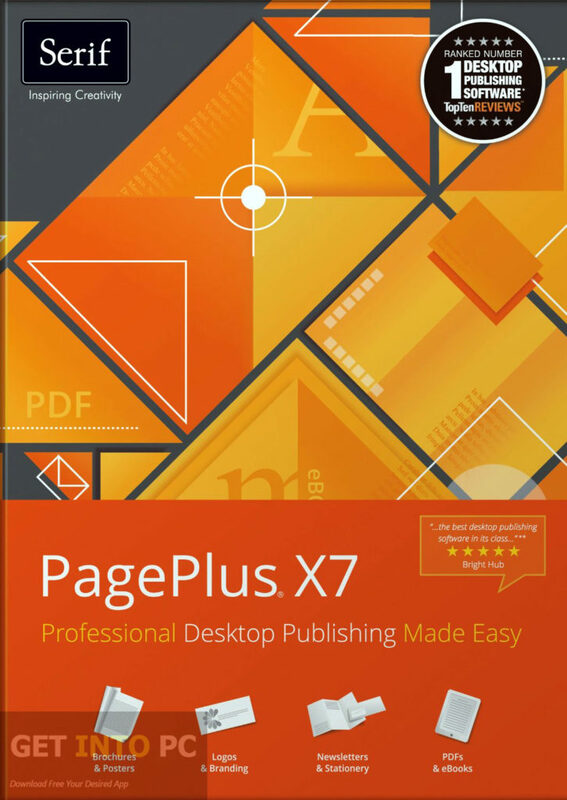 Click on below button to start Serif PagePlus X7 ISO Free Download. This is complete offline installer and standalone setup for Serif PagePlus X7 ISO. This would be compatible with both 32 bit and 64 bit windows.